Why? Where? When? Which company? With whom? Many questions that are asked by cyclists when trying to decide on a cycling holiday. 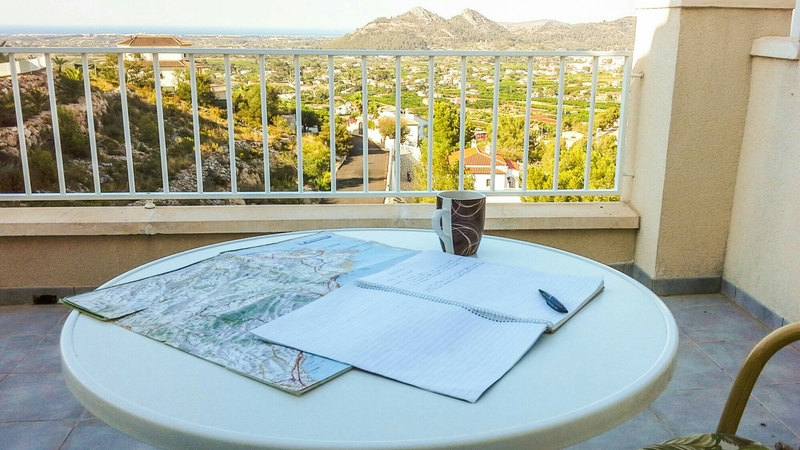 With over 20 years experience in the tourism industry, I have decided to write this blog to help anyone needing a little advice on what to consider and what to look out for when choosing a cycling holiday or training camp. Why?- There are many reasons to consider taking a break to ride your bike. It may be you just fancy cycling in a different country, on different roads, different terrain, or simply an escape from your normal day to day life. On the other hand you may need or want to put in some consistent solid miles, challenge yourself to climbs and terrain you haven’t experienced before, or a specific training block if you race or enter sportives. Getting away from it all with just you and the bike can also be just what is needed to recharge the batteries. Where?– Most people look to escape the wet, cold, harsh weather of winter to find warmer climates to ride their bike, and Europe has some cracking destinations on offer such as France, Spain, Italy, Greece, and Portugal. All of these countries offer a mix of riding from flat roads to challenging famous mountains. One way to decide on a destination is to chat to any cycling buddy or enthusiast about a cycling break and find out if they have had first hand experience of one. If so, ask them where they went to, what time of year, why they wanted to go and with who – friend, cycling club, training buddy, workmates? But also did they enjoy it, if so why, what worked for them? If not, why not? Did it live up to their expectation? Was it worth the money they paid for it? Did they achieve what they wanted to from the holiday? Word of mouth can pretty much always be trusted! When?– due to the UK autumn, winter and spring weather, it is becoming more and more popular, and some would say necessary, to consider a trip away. However, depending on what month you want to go, may determine your destination and vice versa. This is because France, Greece, northern Spain and Italy can be a nice climate in the autumn and spring but too cold in the winter months (December, January & February). For winter months, east to southern coast of Spain and Portugal will give you more of a guarantee of some warm temperatures, dry climate and sunny skies. Perfect riding weather. Who with – which company? Finding the right Tour Operator can be a lucky dip sometimes, there are many out there and lots for the same destination. So how do you choose? The prices can vary too for what seems to be the same holiday. So how do you decide? If you have the time to do some research of your own, read through the companies websites thoroughly to work out what they are offering and if that’s what you are looking for. Try to select a top three to compare; bearing in mind a more expensive holiday does not always mean it will be better, or offer more than a cheaper one. As a guide to prices, the average cost should be somewhere between £350 – £600 per person for a week’s stay. There is no need to pay more than £1,000 per person (excluding flight) for a week’s stay, unless you require a bespoke one-to-one service or are staying in a 5* luxury hotel and/or riding with a well known ex-pro. Top tip, if you cannot find a price on a website for a holiday, even to give you an indication of cost, walk away! Make sure that your holiday or camp is suitable for your level of riding. The operator should be asking you questions about your intended riding, mileage, duration and terrain. The worst situation is to book onto a camp or holiday and find yourself in a group of riders much stronger or weaker than yourself. Ensure you have checked out what the holiday includes and offers; accommodation, food, airport transfers, guided rides (if required), support vehicle, bike hire & storage, and the actual real overall cost for you and friends. Never be afraid to ask questions! If there is something important to you, far better to know if it can be done or is available before you go, rather than arrive and realize it can’t or isn’t, and be immediately disappointed. Simple things like an en-suite bathroom for example, can be important to many, rather than sharing a bathroom with people you may not know, particularly if you are travelling alone or with a friend; so this is one thing to look out for and ask if you can’t find the information. Pretty pictures should never mask what’s not there, they should only enhance what is! Top tip – never assume! Location of the accommodation offered is also something to think about practically if you don’t hire a vehicle from the airport. Remember your destination will most likely be very quiet compared to the UK, so take into account of where the hotel, villa, apartment or guesthouse will be based. If it is located in a town then you shouldn’t be too far away from supermarkets, shops, cafés and restaurants. However, the accommodation could be in a small village or in the countryside, and a few miles away from your nearest pint, whether that be milk or the alcoholic variety!! Without any transport, this could cause a few issues. Don’t be fooled by the promotion of a stunning outdoor pool and mentions of swimming in the sea! As perfect as this sounds and looks, if you’re travelling between October to April, it takes a brave person to take a dip in them, unless you want an ice bath for recovery or a cardiac arrest! However, a ride to the sea and coast is always idyllic and this I can confirm to be true, nothing better. A pet hate of mine; if you find grammatical errors on a company’s website or paperwork, there is a good chance they will show the same attention to detail on their holidays. I have found some blinders out there! If websites or Facebook pages give testimonials from clients, these too can sometimes be a help in making a decision. However, bear in mind, you will never see a negative one!! I have been astonished to find various testimonies written by friends of the owners who haven’t even ridden, and in one particular case, the owners themselves posting testimonials for their new company that doesn’t even start its first holiday breaks until October 2017!!!! Incredible! I hope this blog will help fellow cyclists a little in knowing what to consider and look out for when choosing their next holiday or camp. Back in December 2016, RJ Cycling Camps was invited to the BMC Racing Team launch for the 2017 season. The team launch was held at their winter training base which is used by RJs for our camps. RJs was given the opportunity to spend a day with the team and staff, interview riders, check out their impressive new equipment, meet the new sponsors and head out on a training ride. At the time of the launch, Greg van Avermaet, the new Olympic champion, was still recovering from a training accident in November, where he had fractured his ankle. When asked how the ankle was after surgery, Greg said it was healing well but he still needed to walk round with a crutch for support. He had only been back on the bike for a week so needed to be careful not to do too much too soon. Greg said he was interested to see how he felt going into the Classics after a lot less training due to the injury, as normally he would go “full gas” into training during the winter, and admitted that in previous years he may have done too much. He went on to say he felt more relaxed and fresh at this stage of the year than before, so if his races went well he may have found a new way to train during the winter months! So could it be that the lighter training schedule forced upon Greg, could be the secret to the huge success he has had so far in 2017 ? This impressive palmares has also shot Greg up to the top of the UCI World Tour rider standings by some margin over current World Champion Peter Sagan. As we write this blog, Greg now sets his sights on the Amstel Gold race over the Easter weekend, which was one of his main aims back in December on his road to recovery. So for those of you who are hard at it on the roads and turbos during winter, take a step back to see if you could be over-doing it and don’t feel guilty for having a little rest every now and again. It could just be the secret to your own future successes! 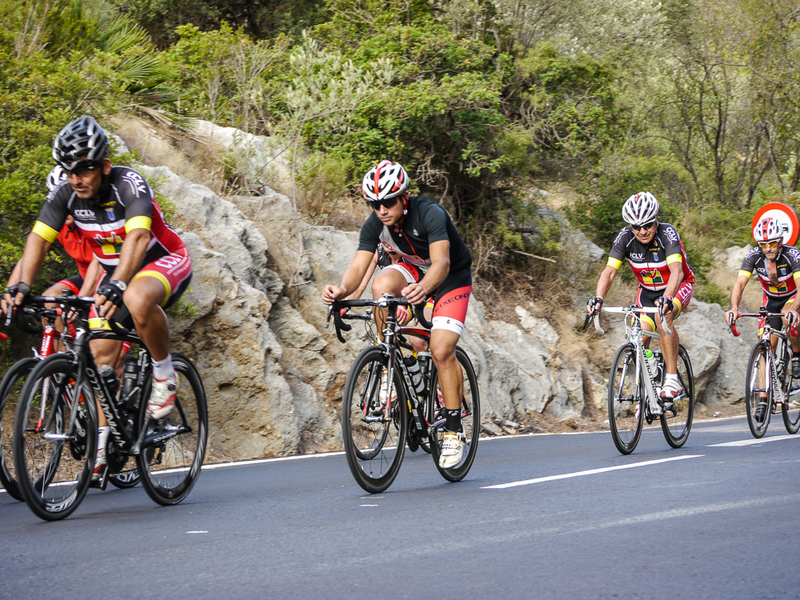 We recently assisted UCI Team Raleigh GAC with their 2016 training camp in Calpe, Spain. Here’s an insight into the information we consider to ensure a team maximise their time together on and off the road. Planning the routes for a team camp starts weeks before the riders and staff set foot on Spanish soil. We base everything on the Team Manager’s training plan, usually the length of rides are given to us in hours with a specific training session to be done each day. Whether it’s riding a long climb at threshold, through and off or sprint drills, it’s necessary to use a suitable section of road. For racing teams, we use an average speed of 30kph to calculate the correct number of kilometres for the required duration of each ride. Next we incorporate the correct terrain for each ride whilst bearing in mind the location of the roads we need to use (and at what point during the ride) for the specific training exercises. We are always mindful not to include too much elevation gain as it’s easy to over-exert the riders, especially when intensive interval type training is being included on multiple days. The planning stage is the most difficult part of the whole camp and the most crucial to get right, it is the essence of the entire camp, everything hinges on getting it correct. This is where our local knowledge and experience as a rider and manager comes into its own, knowing the roads and the effects they have on the riders, means we can ensure each route has the correct balance of terrain throughout the ride. It also means we can seamlessly adjust the route mid ride should the need arise. We tend to avoid large towns and navigate around them to minimize stopping and the chances of the group becoming disjointed. We lead from the front in the team car making it clear which direction to take at every junction. It’s a balance to keep the correct amount of space to the riders, too close and we stall them, too far away and we lose them! Executed well, this system keeps the group of riders moving and flowing smoothly without having to worry about directions, creating a much more consistent training effort. This means minimal time is wasted with no wrong turns or stationary group discussions on where to go next, and therefore a five hour ride is five hours on the road not six hours. This makes for a much more efficient training camp, meaning the riders are back in the hotel sooner resting and eating, therefore recovering sooner. The mechanics and carers can start their work earlier and more importantly finish earlier before everything is repeated the following day. A spare hour in the evening is very welcomed to these guys! The smooth running of each ride makes for a more relaxed and stress free camp for everyone involved. It can be the difference between a disastrous training camp and a brilliant training camp! The 2016 La Vuelta returns once again to the Costa Blanca and the Marina Alta area, after the epic Stage 9 last year, which saw Tom Dumoulin become the new people’s champion. The return of this Grand Tour race is testament to the amazing terrain the area has to offer for racing and training. When you are here, it’s easy to see why half the World Tour teams use the Marina Alta for their winter training bases and camps. Three stage finishes and two starts, including a time trial and the final climbing stage, are on offer to see over the three stages in the area. 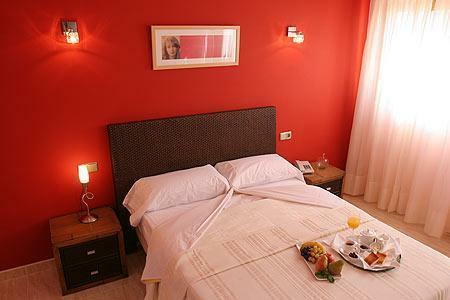 We have secured hotel rooms, exclusive to RJ Cycling Camps, in the heart of the stunningly beautiful Marina Alta. The hotel is of a very high standard and has a prime spot at the bottom of one of the most famous climbs ‘Coll de Rates’, where the race will pass by the door on Saturday 10th September. It is also close enough to ride to any part of the time trial route on Friday, including the finish at Calpe, and the finish for Thursday’s stage at Gandia. 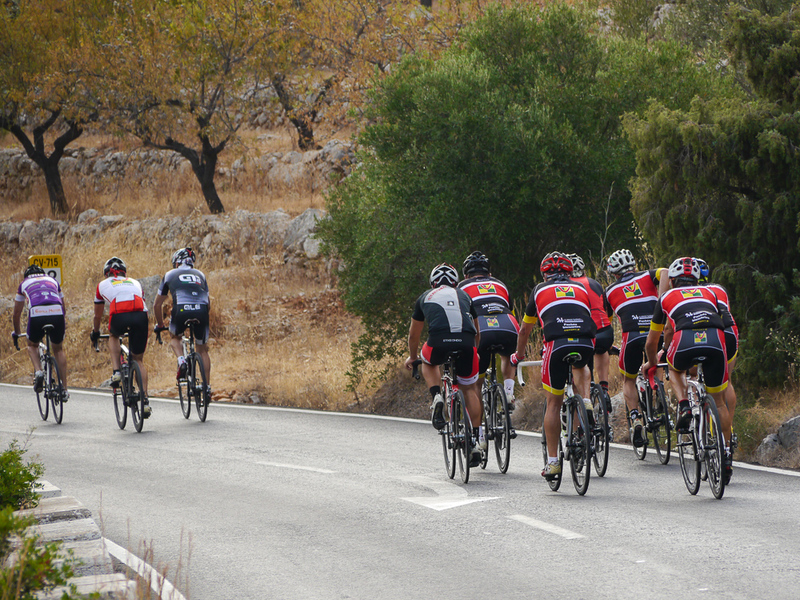 We have put together a package which will allow you to watch the best cyclists in the world in one of the world’s toughest races, whilst experiencing the Spanish way of life, enjoying the beautiful countryside and riding the quiet smooth roads in dry warm weather. The prices do not include flights, car hire or travel insurance. A deposit of £100 / 150 euro per person is required to confirm your place and room. The balance will be due 6 weeks before travel. As places are limited, it is advisable to secure your place early to avoid disappointment. RJ Cycling Camps were delighted to be invited to the 2016 Katusha Team Presentation held in Spain at the team’s training camp base in Calpe. As half the World Tour teams use this area for winter training this was a perfect location for the occasion. An elaborately decorated stage and screen greeted us as we took our seats awaiting the start, surrounded by sponsors, partners and other invited guests who had flown in from far and wide. The lights went down for the start of the presentation with an excellently produced introductory film and vibrant music, which gave the history to the team, riders and management so far. Viatcheslav Ekimov, the General Manager of the team, gave an interview to the audience explaining how exciting and motivated everyone was for the forthcoming season. A second powerful film then gave a taster of what was to come with the new look and branding to the team; Team Katusha – #racetowin. 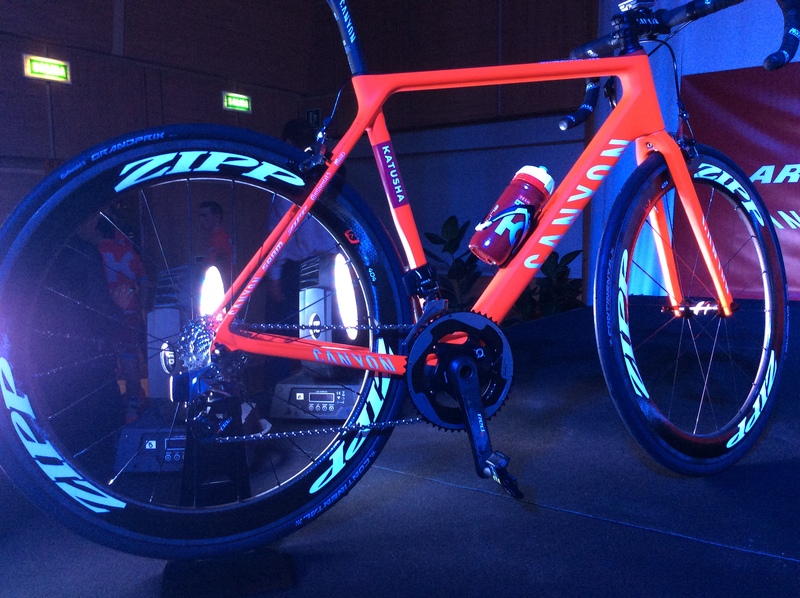 Juergen Van Der Broek, Simon Spilak, Joachim Rodriguez, Alexander Kristoff, Illnur Zakarin and Rein Taaramae rode onto the stage with their Canyon bikes to be presented to the audience. The riders were all motivated by the changes and ready for racing. Fifteen different nationalities of riders will make up the team for 2016 with forty members of staff and targets set for Grand Tour podiums. Team Owner Igor Makarov was invited to the stage and gave his thoughts on the new look team. 2016 would be a key year for Team Katusha transforming from a name to a brand, with no compromise. 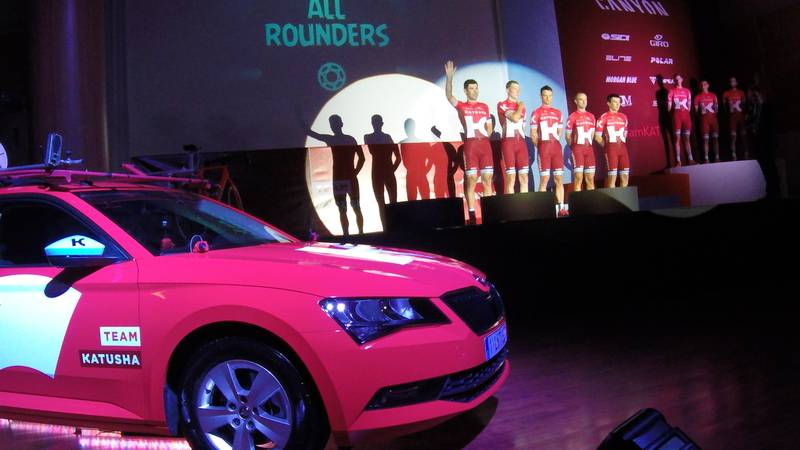 The brand new team car supplied by Skoda was then unveiled displaying the new team colours and impressive wrapping. The 2016 team race bike is to be the Canyon Ultimate CF SLX which has now been upgraded with the wireless SRAM Red eTap. The bike is completed with Zipp wheels and Continental Tyres. 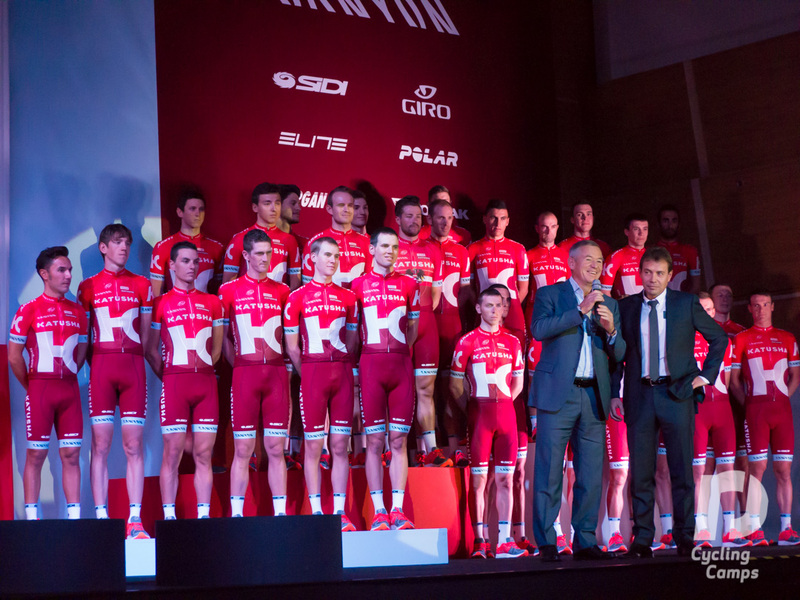 It was announced that Katusha is to become an overall brand now to be known as Katusha-Sports and is set to deliver huge projects such as – cycling cafés, travel, clothing, events and a cycling town. Jean-Philippe Torgue, the CEO for Clothing & Apparel, Katusha-Sports, spoke about some of the clothing collection from the newly launched Katusha-Sports brand. A full range of Performance cycling clothing (Perf) including team replica kit and casual wear would be available to fans of the team and cycling from April 2016. The Urban Collection (Urb) would be released September 2016. This range will be mainly available online through digital services but Katusha-Sports was considering placing the clothing into major cycling city outlets such as London. Jean-Phillipe told RJ Cycling Camps that a women’s range was being developed and was hopeful it would be available for the 2017 season. They would be looked after by five Sports Directors. Overall, the event was very dynamic and excellently presented and definitely a team to watch out for on the World Tour stage in 2016. You certainly won’t miss the kit! The epic Stage 9 finish of La Vuelta 2015 landed on our doorstep, so we went to watch this amazing race. Postioned at 700m to go on the Cumbre del Sol; a 4km climb with gradients of up to 23%, these are the dramatic shots of the suffering riders. A great duel between Tom Dumoulin and Chris Froome. This climb will feature in our training camps for 2015/16 so you can enjoy the same experience! Our Very Own 5 Monuments! After months of riding, driving and map reading we have finished designing our rides for this seasons winter/spring training camps and holidays. The five rides will be used as the backbone of our camps providing stunning scenery, smooth quiet roads and the all important climbs to make you strong! The weekly camps begin on the 24th October, we offer two different riding groups depending on your ability. Please visit http://www.rjcyclingcamps.com for further details. 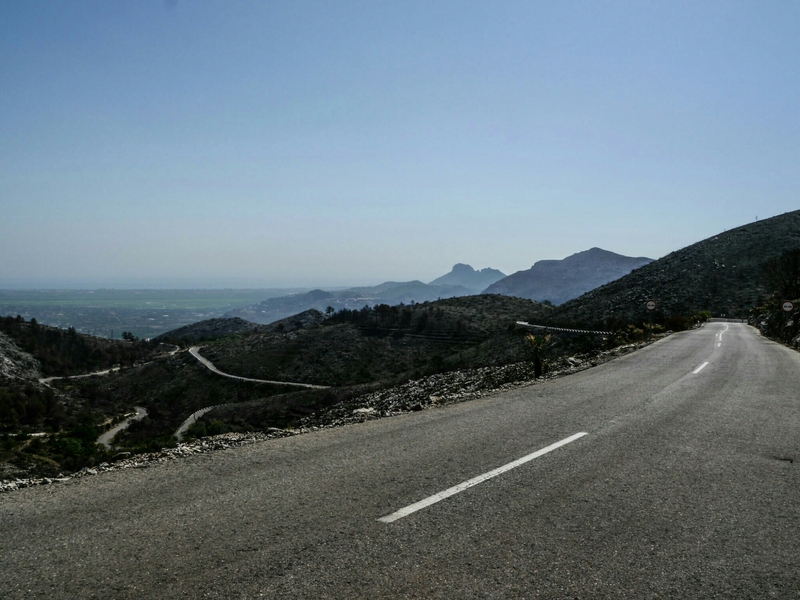 Information on our 2015/2016 Rides and Routes can be found at https://rjcyclingcamps.com/our-rides/ Here you will find information on the superb routes we have planned in the Marina Alta area of Spain and the various training weeks available. Book before 31st October 2015 to receive a 10% discount off the basic package price! Improve your decending skills as well as your climbing! We have been working hard designing some fantastic routes for our camps rides, ensuring you experience the very best roads, terrain and scenery in the area.